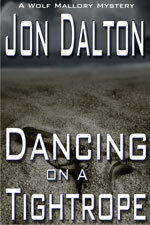 Jon Dalton is the pen name for writer Warren Richardson. He lives in Florida with his wife (who is also an author), several pushy cats, a couple of dogs, and two birds who attempt to kill him on a regular basis. There are plans for several more books in the Wolf Mallory series. Want to sent the author a message?